There are several trips leaving from Hope this summer to serve in short term missions. We want to share these exciting opportunities with all. Please feel free to prayerfully consider those you wish to support financially, but add all the teams and team members of these trips to your prayers. Contact the office if you have any questions on how to give support or join an upcoming team. 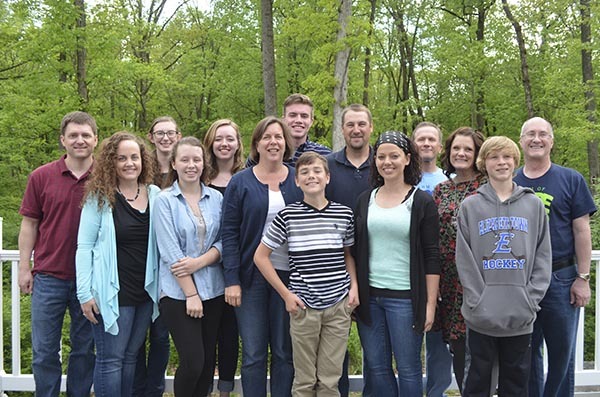 Ghana Team (from left) Tim Ainsley, Sherrie Ainsley, Rachel Bennage, Kaitlyn Black, Maddie Conley, Brenda Martin, Devan Turner, Caden Zimmerman, Mike Zimmerman, Cheryl Zimmerman, Greg Grove, Denise Grove, Colton Grove, Dennis Bartch. Hope Community Church will be sending a team of 14 people to Ghana, West Africa, from Friday, July 28 till Saturday, August 12. While in Ghana, the team will be carrying out two weeks of kids’ camp alongside our Ghanaian missionary partners led by Philip Darko. Camp days will consist of music, drama, Bible teaching, small-group times, crafts, games, soccer, and much more! Children sponsored by Hope Community Church will be able to attend this camp along with their siblings and friends who regularly attend the Arm of Hope Bible club. Arm of Hope’s goals for the camp are to introduce children to Jesus and help them to grow in Him, and to build relationships with children so we can show them Jesus through our Christ-like words and actions. Camp may not seem that signiﬁcant to us here in the US, because we have so many opportunities to choose from every day. But imagine your children’s or grandchildren’s lives stripped of sports, music lessons, vacations, beach trips, and birthday parties. Then imagine further that your child’s life is also lacking a bed, adequate food, a shower, and a safe place to play. Let’s go one step further and imagine that the children you love are also living without one or both parents. This is the daily reality of the children we ministry to through Arm of Hope. Hunger and hopelessness are a regular part of their lives. You can find out more about Arm of Hope by checking out their website.